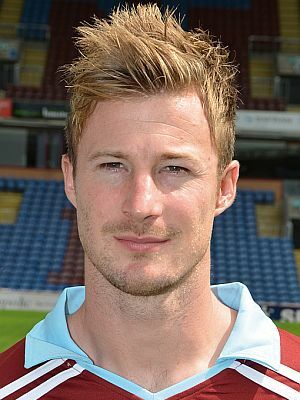 Wade Elliott, scorer of one of Burnley’s most important goals, is back in football having joined the back room staff at Stoke City as the under 23 team’s assistant manager. Elliott left Burnley for Birmingham in August 2011 having kicked off the season with us and then moved to Bristol City where, having retired as a player, he took over their under-23 team working for then manager Steve Cotterill. But he lost that job at the end of last season when new boss Lee Johnson decided to restructure his team but today he’s joined Stoke in this new role. He’ll work with the under 23 boss Glyn Hodges and today their academy director Gareth Jennings said: “Wade was captain at Bristol City when I was there and he was always one to support young players. He has been a captain at every club that he played for and we think he is the right type of person for the role. “He will be excellent at supporting the young players coming through at the club. We are lucky to have Glyn Hodges who has a mass of experience and Wade embraces youth development.